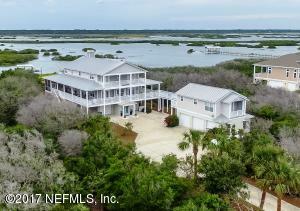 OCEAN FRONT & INTRACOASTAL FRONT HOME ON 1.3 ACRES with INCREDIBLE VIEWS! 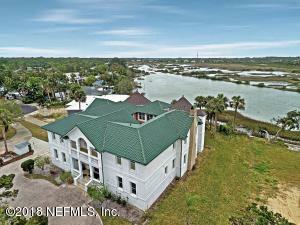 4BR/5BA home WITH ELEVATOR is located directly on Crescent Beach & includes the intracoastal front lot with dock in deep water. 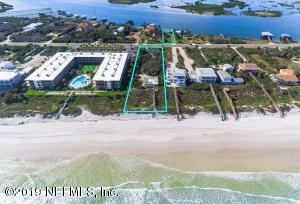 Enjoy sunrise from the 10x20 deck overlooking the ocean & sunset from the 10x18 deck overlooking the intracoastal. Ground level includes 3 car garage; easily accessible elevator with absolutely no steps.Take the elevator or steps to the 2nd level which includes a complete inlaw suite! Simplistic Luxury coupled with Effortless Comfort. 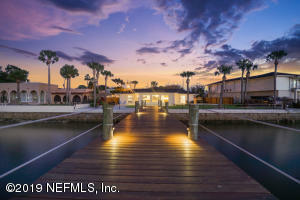 35 Avista is a dreamy, totally re-imagined 1950s pool home located on 100' of the Intracoastal with a 120' dock. 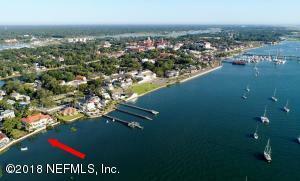 Indulge in modern conveniences with THE MOST breathtaking view of the downtown St. Augustine skyline. Freshly redesigned in 2017, & used as a personal retreat -- a quiet & calming space where one could go to simply BE & observe the most fiery sunsets. 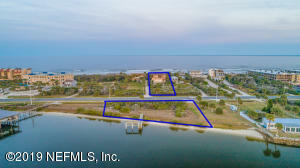 This waterfront home is certainly aiming to set a new standard in luxury, historic living. Come home to paradise and enjoy chic bliss...Truly a place where your spirit could be inspired to conquer the outside world...because when you're here, you feel it. A new way to relax is unfolding all around you, especially in the pool with a prime view of Downtown. 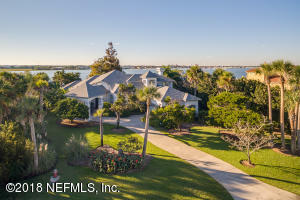 Panoramic views of waterfront, sunsets, & the St Augustine skyline in gated Pelican Reef. 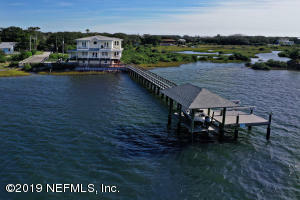 Relax in the 38' x 25' screened pool area, or on your boat from the 103' dock w/ 20' floating section. 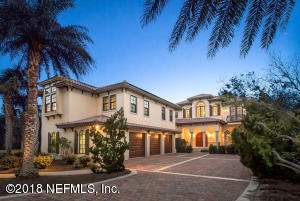 Custom built with 3775 sq ft, 4 bedrooms & 3 full & 2 half-baths and a large & elegant floorpan. The ground level master suite w/ large bath/dressing area has private deck & pool access. The 2nd ground floor bedroom may also serve as office or exercise area. Amazing water views from almost every room.